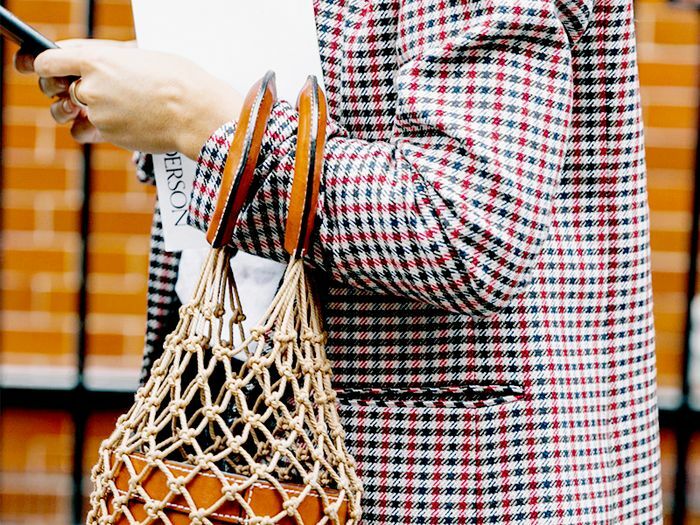 Checked blazers—once reserved for preppy fall outfits—have made a huge comeback, and it's not hard to spot: Just about all our favorite fashion girls have draped one over their shoulders recently. 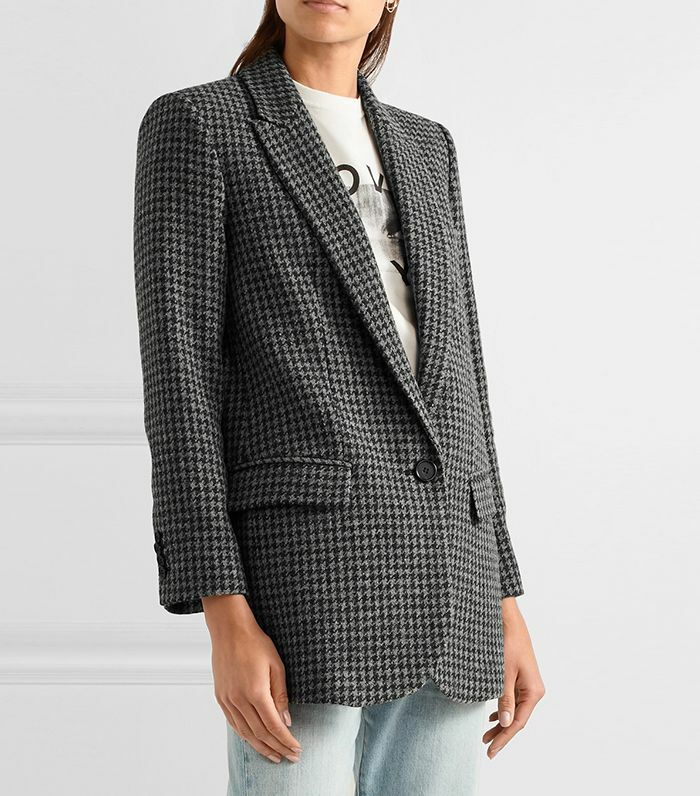 After making appearances at the shows of Off-White, Alexander Wang, Tibi, and others, checked blazers have quickly become one of the season's biggest and most wearable trends. After fashion month, we saw them sweep the street style scene—providing us with more than a few styling tricks. Try wearing one over a turtleneck and jeans for a put-together office look or with sneakers and a graphic tee on the weekend. Go on to shop the best checked blazers from Ellery, Reformation, Pixie Market, and more. Elevate your outfit by wearing a blazer with white booties. Wear yours over a miniskirt. Wear this one for work or for a night out. Style yours with a sleek bun and statement earrings. Wear this structured style with a graphic tee. We love the white button detail on this jacket. Pair a white sweater underneath to keep you warm during the colder months. One of our favorite outfits is vintage denim with a blazer. Wear this jacket with jeans or over a midi dress. This print pairs well with anything. Show off the button details on this jacket by wearing it closed over a white T-shirt. Style this blazer with red pants for a bold look. Wear a black turtleneck underneath and add a pair of ankle boots to complete the look. We love the matching blazer-and-pants look. Wear this blazer season after season. Next, read about the office outfits fashion girls swear by.